Wildlife photography is an art in itself, it takes the most patient and curious photographers to capture animals in their most natural environment. 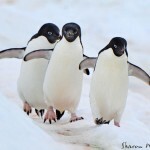 On Chimu Adventures’ recent voyage to East Antarctica, we had the pleasure to interview Sharon Wormleaton. 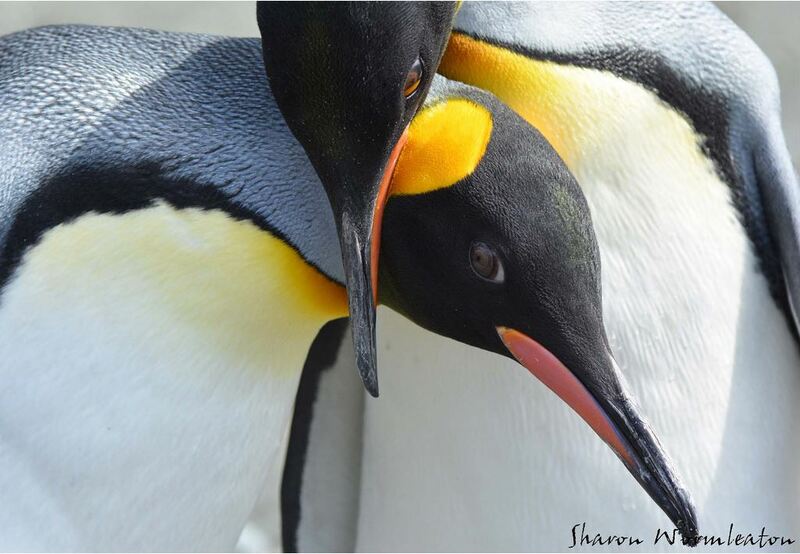 Sharon has been an avid wildlife photographer from her teenage years and is self taught. 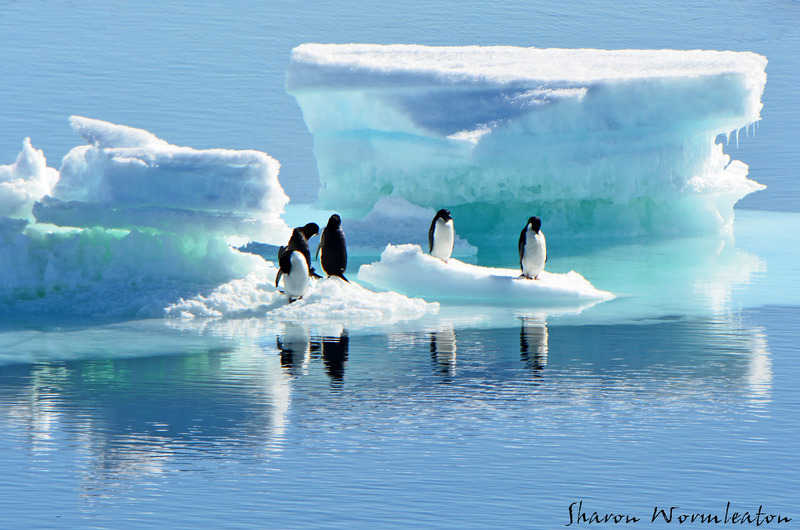 Learn more about her photography experience in Antarctica and the sub-antarctic islands. 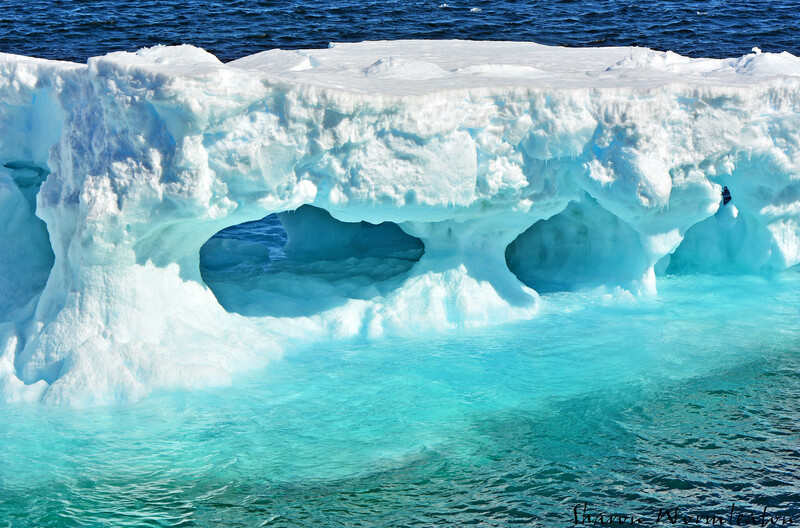 Iceberg with inner caves and shallow aqua coloured water. Photo Credit: Sharon Wormleaton. 1. Why Antarctica? Has it always been a dream of yours? I have wanted to go to the Antarctic for as long as I can remember, since school when I saw photos of the scenery and wildlife and learnt about the great explorers who travelled there. I think about 15 years ago I decided I should go on a boat trip to the Antarctic but after saving up I would get side-tracked and end up somewhere else like Namibia or Madagascar. I saw the In the Wake of Mawson trip advertised on Facebook in March last year and decided I had the money and no other plans so I enquired and it all just fell into place after that. Now I want to go again. 2. What would you say to someone that is on the fence about travelling to Antarctica? I would say go!! If you have any desire to go then go, don’t try and talk yourself out of it. I live by the philosophy that life is short and if you have any sort of desire or inkling to do something or go somewhere then go, so as to not wake up one day thinking “I wish I had really done that”. I would say if you can afford to go and have an interest in going, then go. I have yet to meet anyone who has been disappointed about going to the Antarctic. It is like nowhere else on the planet. It is untouched, unspoilt, beautiful, mesmerising, I get choked up just thinking about it. The only thing I would say to those who are worried about the rough voyage over, if you really suffer from seasickness then it would probably be better to explore options from South America as they involve much less sea travel and the voyages are much shorter. 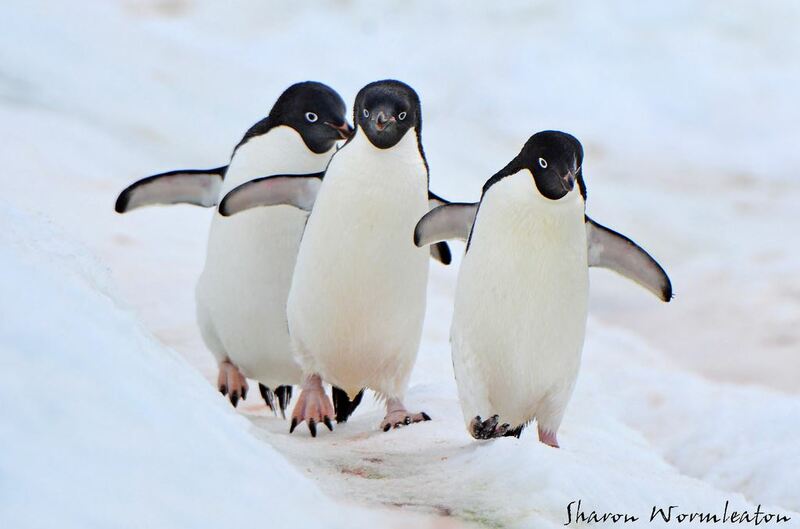 Adelie Penguins standing on ice. Photo Credit: Sharon Wormleaton. 3. What were your expectations of Antarctica? Particularly East Antarctica. I had seen Antarctica from the air on the New Year’s Eve flight in 2013 and the weather was perfect. The sky and ocean were a brilliant blue in stark contrast with the white icebergs, pack ice, snow/ice covering continental Antarctica so I was really hoping it would be like that. I had hoped we would be cruising along in the blue ocean past sculptured icebergs with the sun shining brightly in the blue sky and that is pretty much what happened for some of our days in the Antarctic. On the fourth day we were heading towards Adelie Land in the French Territory and it was exactly as I just described. The ocean was calm so the icebergs were mirrored in the crystal clear water. I could see Adelie Penguins swimming underneath the water next to the boat. There were so many different shades of blue in the shadows on the icebergs and in the water and all of this was followed by a magical sunset, same scenario but add in hues of pink and orange. I don’t actually think that words can describe how beautiful that day was. There were certainly lots of penguins, in fact if you love penguins you would have been in penguin heaven. 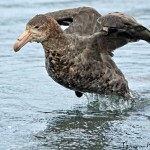 There were thousands of pelagic birds and I photographed more pelagic species than I anticipated. 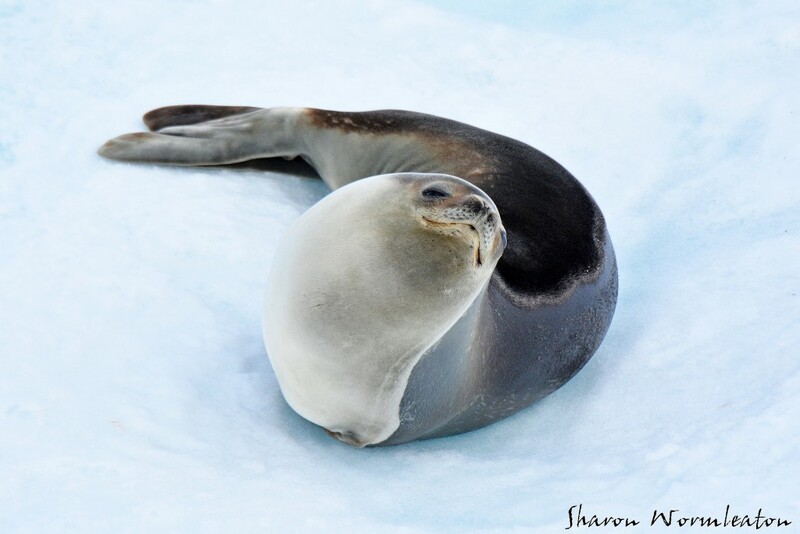 We were blessed with seeing numerous Ross Seal, a seal that is rarely seen as it lives in pack ice and we had to travel though pack ice one day, which was an experience in itself marvelling at how the captain and the crew kept at it for nearly 20 hours to travel 8-9 nautical miles. We saw Orcas trying to wash a seal off some sea ice, luckily we didn’t see if they succeeded or not but it was still great to witness. I was hoping to see a few more different whale species, we only saw the dorsal fins of a few Minke Whales, so I was a bit disappointed about that. I would have loved to have seen a Blue Whale but you can’t have everything and we were pretty lucky with the wildlife we did see. Close up of the rarely-seen Ross seal. Photo Credit: Sharon Wormleaton. We didn’t get to trek across the ice to Mawson’s Hut in East Antarctica due to pack ice arriving in Commonwealth Bay just after us so we had to make a ‘hasty’ escape lest risk being trapped there. A few on board were disappointed about not stepping foot in Mawson’s Hut but I was actually more disappointed about missing out on the walk across the ice to and from the hut. I think that would have been a real adventure. We did make several landings in Antarctica but none of them involved an epic walk like the one we would have had to do to Mawson’s Hut. Otherwise the experience in East Antarctic was thoroughly enjoyable. Continental Antarctica looked exactly as I expected from photos I’d seen in books and from what I had seen from the air. I was pretty excited the day we approached Commonwealth Bay as I was finally in amongst all those icebergs and sea ice I had seen photos of. I’d have to say that my overall experience in Antarctica was similar to how I imagined it to be, cruising past ice and icebergs, marvelling at how mother nature has sculptured them. Not to mention being surrounded by thousands of penguins when landing ashore. 4. 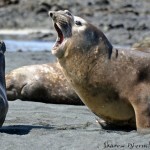 Can you tell me a bit about your experience as a wildlife photographer? I have always had a love of wildlife and have been doing wildlife photography since I was a teenager. I am self taught and do it as a hobby. As I have gotten older I have been able to buy better equipment and have gotten better just through lots of practice. 5. Speaking of wildlife photography, what was your favourite animal to take photos of and why? I can’t decide between penguins and pelagic birds such as albatross. Penguins are real little characters and as I look through my photos I’ve seen quite a few ‘human’ emotions portrayed in some of my penguin images. I also liked the challenge of trying to photograph them in motion such as diving into the water and swimming and leaping through the water. Pelagic birds are amazing. 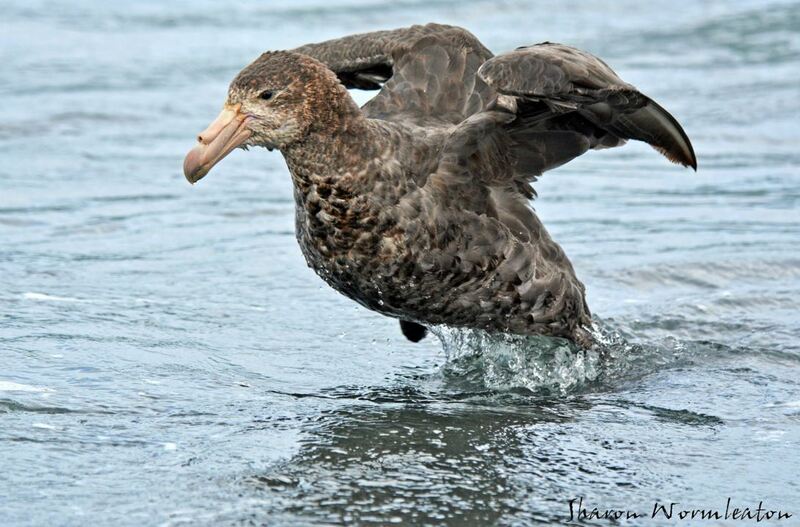 Some of these birds spend months, even years at sea, soaring effortlessly just above the waves. It was mesmerising to watch and a challenge to try and photograph from the constantly rocking ship. We also got to spend time in amongst a breeding colony of Southern Royal Albatross. These birds are so majestic and beautiful up close. I was in awe in their presence. Once again it’s hard to describe unless you’ve been in that situation. Royal Penguins on Macquarie. Photo Credit: Sharon Wormleaton. 6. How was it like photographing the different regions? Was there much change in colours and landscapes? There wasn’t really much change between the two different areas we visited in the Antarctic. The colour changed if the weather changed but otherwise the two regions were pretty similar. Mind you, the two regions weren’t too far apart so I wouldn’t have expected much of a change. It would probably be different if I now visited the Antarctic Peninsula. 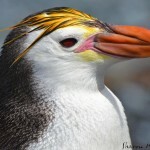 Macquarie Island and the New Zealand sub-antarctic islands were similar in some aspects but quite different in others. We were blessed with mostly good weather in both these regions and the colour of the vegetation was quite vivid in both regions, especially the green of the megaherbs which was quite dazzling on a bright day. The New Zealand islands had the Rata Forests which had that “Lord of the Rings” feel about them so that was one major difference between the two regions. 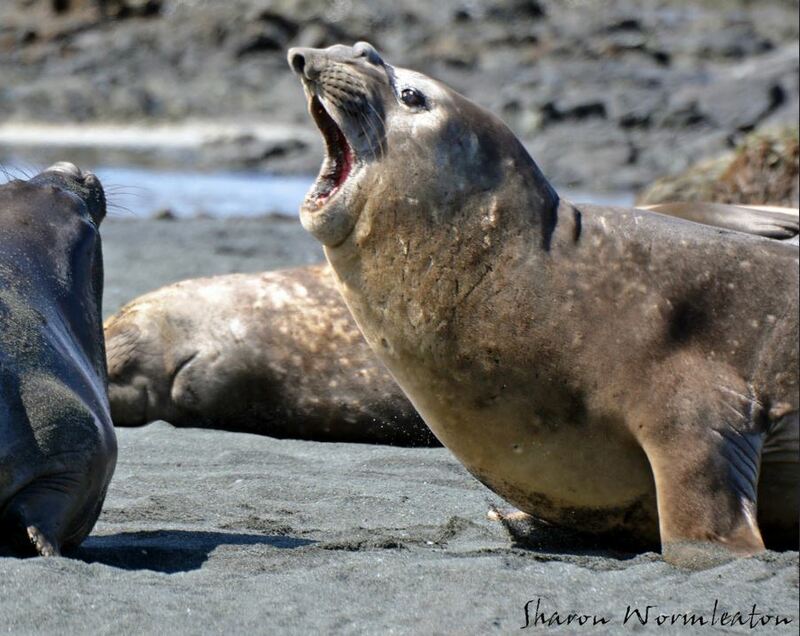 Both Macquarie Island and the New Zealand Islands are blessed with an abundance of wildlife so in that area they do not disappoint. 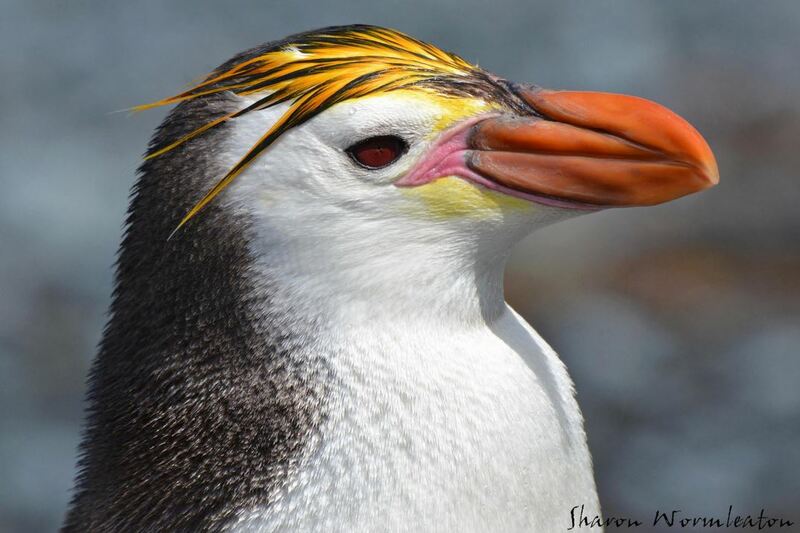 They both have endemic species which aren’t found anywhere else which makes them pretty special, such as the Royal Penguin on Macquarie, the Campbell Island Teal on Campbell Island and the Snares Crested Penguin in the snares. 7. If you could be an Antarctic animal which would you choose? I actually think I would like to be a penguin. It looks like a lot of fun zipping though the water as they do. I just don’t want to be one that has to walk miles and miles to feed their chick though. I would need to pick a colony near the water’s edge and hope that Leopard Seals didn’t like to hang around that colony. Orcas hunting a seal. Photo Credit: Sharon Wormleaton. 8. How was the entire voyage? Inspiring? Life-changing? Overall the entire voyage was quite good. The staff and passengers got on pretty well and there was a sense of comradery and we had a lot of fun on and off the ship. We experienced some pretty magical moments together such as the orcas hunting the seal with one of the most beautiful sunsets I have witnessed as a backdrop, so there are things we experienced as a group that will probably never happen that way again. I loved the sense of peace we had. There were days and days where we would be out in the middle of the Southern Ocean and we wouldn’t see another ship or any land and it really makes you realise how big the earth really is. It was great being cut off from modern disruptions like mobile phones and the internet for over three weeks and just taking in the scenery and the experience and not knowing what was happening in the world “back home”. I could have quite happily stayed on the boat by the time we got back to New Zealand. I don’t know that it was life changing or inspiring but I’m certainly glad I did it. It’s not everyday you get to travel across one of the roughest oceans on the planet and visit one of the most beautiful pristine environments known to man. 9. Anything you would like to add about Antarctica that we haven’t already talked about..? I think I have pretty much covered everything except “Why don’t the Australian Antarctic Bases have the need for a radiographer?” I would love the opportunity to live down there for a few months to do wildlife photography but unfortunately I don’t do one of the trades they are looking for. Looks like it’s back to saving for my next trip down there for me. I would say that quote is probably true for me and for most others who have travelled there. Once is definitely not enough. 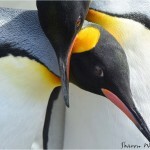 Want to take a shot at wildlife photography in Antarctica yourself? 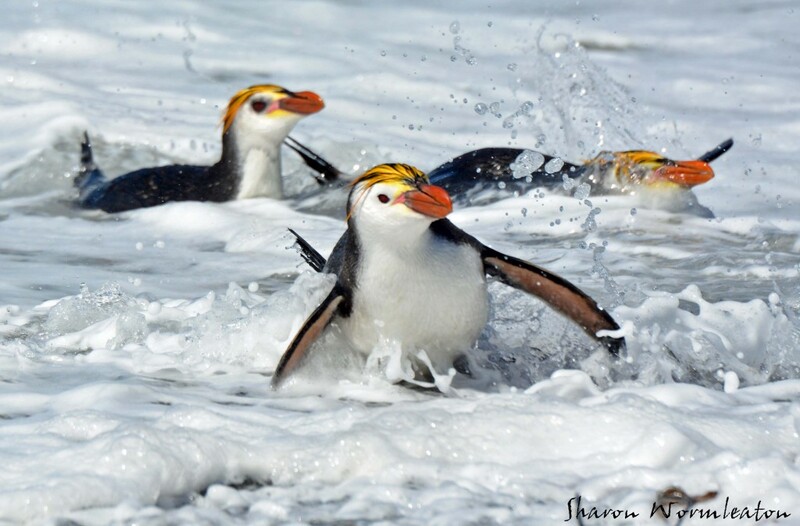 Chimu Adventures offers a wide variety of cruises to the wide continent, wildlife spotting guaranteed!